The issue raised by the Protestant scholastic discussion of the relation of autographa [originals] and apographa [copies] is one of linguistic continuity rather than one of verbal inerrancy. The orthodox do, of course, assume that the text is free of substantive error and, typically, view textual problems as of scribal origin, but they mount their argument for authenticity and infallibility without recourse to a logical device like that employed by Hodge and Warfield. (vol. 2, p. 415). In other words, they did not feel the need to limit inspiration and inerrancy to the autographs. Moreover, Muller says that this difference is a point which requires us to draw “a rather sharp contrast” between Warfield and Hodge on the one side and the Protestant scholastics on the other (p. 414 n. 192). But how sharp is this contrast exactly? That is the question that interests me. To begin with, it doesn’t take much to show that Warfield was not near the innovator that Letis and Muller make him out to be. Scholars in the 19th century were restricting inspiration and inerrancy to the autographs well before Hodge and Warfield (examples here). But is there something to Muller’s point that the post-Reformation debates often focused on language (Greek vs. Latin and Hebrew vs. Greek/Latin) rather than textual form (autograph vs. copy)? I think there is. You can see this in the Westminster Confession of Faith (sec. I.VIII) which is not really concerned with Scripture’s original wording but rather Scripture’s original language. This is how the language of “authentical” was regularly used by Protestants as seen clearly in William Whitaker’s 1588 Disputation, question 2. One of the more instructive examples of how Scripture’s authenticity was framed in the 16th–17th centuries comes from the Synopsis Purioris Theologiae. Intended as a summary of Protestant doctrine, the Synopsis was widely used by clergy in just this way. In the words of the modern editors, it is “an exhaustive yet concise presentation of Reformed theology as it was conceived in the first decades of the seventeenth century” (p. 1). Furthermore, the edition of Scripture that should be considered authentic is the one that was issued autographōs [αὐτογράφως], that is, ‘originally’ and ‘directly from its source,’ by the authority of God. This is the archetypos [ἀρχέτυπον] itself (Deuteronomy 31:9, 24, 26; 2 Kings 22:8, 13; 2 Chronicles 34:14), or its apographos [ἀπόγραφον], that is, “the copy of it” (Deuteronomy 17:18). These certainly include the individual books of the Old Testament in Hebrew (with the exception of a very few words, sentences, and chapters written in Aramaic), and those of the New Testament in Greek, except for a few small insertions in Hebrew and Syrian—nearly all translated into Greek, because that was the most common language of the East as well as the West (Cicero, In Defense of Archias the Poet). As far as the style is concerned, it was partly in the common language, partly in the Hebraic-Greek style that the Hellenized Jews used. Another rendering of the authentic version is itself also Sacred Scripture, so long as it has been translated into other languages as devoutly as possible, and corresponds to it precisely and completely—as much, at least, as this can be done. Such translation is not only permitted and useful (contrary to what certain papal teachers have determined), but also entirely necessary (Acts 2:4, 6, 11; Nehemiah 8:8, 9, 14, 18), so that it may be of use to all people (Deuteronomy 31:11; Colossians 3:16), and so that it may be understood, read, and heard by all people and those of any kind—also lay-people. However, it would be foolish (along with those same papal teachers) to declare either the Septuagint, or the Latin translation of either Testament, or any other version, not only the received and commonly employed version, but even the authentic one. (Council of Trent, session 4, chapter 2). (Disputation 3, §§10–11; p. 81). In both paragraphs the overriding concern is clearly linguistic. The Synopsis defends translations as good and useful but makes sure to clarify that this does not mean that translations trump the “authentic” Hebrew, Aramaic, or Greek. There is here a strong appeal to the edition of Scripture that was given “originally” and directly from the source. But notice how easily the Synopsis can say that this may be either an archetype or its copy. There is no reflection here on whether or not those two ever diverge or on what should happen if they do so diverge from each other. This isn’t because they weren’t aware of variants at the time. They certainly were, as is evident in Francis Turretin’s discussion in his Institutes of Elenctic Theology (1679–1685). So, why can they so freely conflate “autograph” with “copy”? I suspect it’s simply a reflection of the time. The main issue then wasn’t variation in the Greek New Testament manuscripts, but rather variation between the versions—the Greek text as they knew it and the Vulgate text as endorsed by Trent. In other words, the variants they knew of were so few and far between that they did not demand much by way of theological explanation especially when Roman Catholic scholars were busy pressing the differences between the Greek and the Latin text. There’s much more work to be done here, but I thought the Synopsis provides an important illustration on the matter in the 17th century. "When we say that the scriptures are divinely inspired throughout, we do not speak of translations or copies, but of the original writings. For the Almighty todirect the pens of the sacred writers is one thing, and it is quite another for him to guide, infallibly, the pens of all in every age who may copy or translate or quote the Bible." At least in America, an appeal to the "original-writings" (which in my opinion is a synonym for 'autograph') was common well before Hodge/Warfield (as you noted) but not just in a linguistic sense. Hodge and Warfield appear to be simply following the American Presbyterian position held at the type. They certainly were no innovators. Thanks, Tim. I linked to Ronald F. Satta’s book in my post and I got that reference from your excellent article on the topic of autographs. Very helpful. I think we can go back earlier than that, and in Europe, not just America, with the work Theopneustia, by Gaussen. If I recall correctly (I would need to recheck this), Gaussen never makes any explicit distinction between the inerrant autographs and errant later copies, though he does make such a distinction with respect to translations. However, his discussion of inspiration clearly presupposes (both when discussing errors in translations and at other points throughout the book) that it only applied to the original authors and not later copyists. Nor does his view leave any room for later changes made to the text to be inspired. Thanks for the kind words Peter. I apologize for the typos in my comment above. ("Autorgraph" correct to "Autograph". And "type" correct to "time" in the second to last sentence). I really appreciate conversations like this one. A discussion on the intersection of Innerrancy and TC should continue! I would see "authorgraph" as a more appropriate typo? What the church need is a fixed canonical text, meaning: a fixed text that functions as a standard by which the variants can be assessed as just that —- variants from the providentially preserved, canonical form of the text of Scripture. Much like your (and Metzger's) opinion about the long ending of Mark. Are there variants at the end of Mark? Of course. Do they matter? No, they don't, because the long ending is canonical. Likewise, the PA is also canonical and should be included in the text without brackets, misleading notes, etc. I think one place to check this in early Protestant writings is in their discussions of textual variants. What were they aiming for when opting for one reading over another? Was it the genuine words of the biblical author? Or did they make some allowance for later corruptions of the text to be received as inspired even though not original? I expect that it would be found that they consistently sought the original text, and that the reason we don't see this appreciation for the original autographs get emphasized as much as it is among evangelicals today is partly because they weren't as aware of important variants and didn't think the ones they were aware of were important enough to address when discussing the doctrine of inspiration. The whole issue of their focus on the original languages, as opposed to autographs as we understand the word, is really a tangent that doesn't help us understand what they did think about the inspiration of readings that they believed didn't go back to those autographs. That’s basically my point: they weren’t asking our questions. But I expect that if we looked in the right places, especially their explicit discussions of textual variants, we might find that they occasionally did ask our questions. They just didn't put them front and center. Turretin discuses a number of variants. But—if memory serves—he never quite says what later Ptotrstants do about only the autographs beings inspired. It just wasn’t a category they used the way we do. To be clear, I don't mean that we would likely find any focused consideration of whether or not later changes to the text could be inspired (a la Letis). I think it's more likely that that question didn't cross their minds. But I suspect that we could find evidence that they had a presumption that whatever reading the inspired original authors actually wrote must be the right reading, because they did engage in textual criticism even if only in a rudimentary way. He's certainly not early Protestant and is definitely too late to be very relevant for this discussion (though I can't resist the chance to sneak in a reference to him here or there), but the so-called last of the Puritans did ask some of our questions and address textual variants, even if only rarely (Spurgeon). If the text of the autographs is inerrant, so is the text of an accurate copy of the autograph. You cannot understand Warfield unless you understand that for him 'text' = 'verbal texture', i.e. the web of words. Yes, but Warfield knew there were no completely accurate, extant copies of the autographs. Therefore, the inerrant verbal texture exists in no material form. Hence Muller calling the autograph a "logical device" for him. The point is, the post-Reformers were not so interested in distinguishing errant copies (or their text) from the inerrant original. For them, the difference between these were so slight as to be a moot point. That's how I read them, anyway. ... until it conflicts with your settled opinion. Most Catholic teachers would have granted that the ancient Greek and Hebrew autographa were authentic. They argued that the MSS which we have today, however, cannot be regarded as authentic because, after many years of copying, they have become corrupt and impure. This thought naturally led back to a discussion regarding the integrity of the contemporary text, and was no doubt the main reason for the prolonged discussion concerning this point. 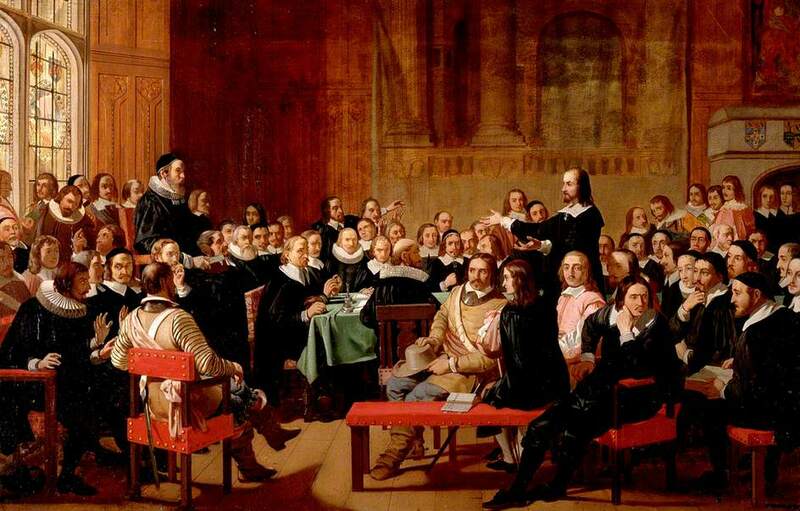 The Lutherans answered that their adversaries could not prove their point. Quenstedt asserts that it is unthinkable that God in His providence would preserve intact a certain human version of Scripture but allow the original inspired texts to become mutilated. He writes: ‘We believe, as is our duty, that the providential care of God has always watched over the original and primitive texts of the canonical Scriptures in such a way that we can be certain that the sacred codices which we now have in our hands are those which existed at the time of Jerome and Augustine, nay, at the time of Christ Himself and his apostles.’ This was the Lutheran position in a nutshell.